That last photo—too sweet! 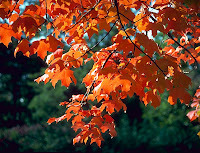 I love fall best of all the seasons and this post says why (especially thanks to those photos of one busy boy). I love that last photo as well! BUMMER though…WE were there yesterday and missed you…two kiddos had soccer and another was at a spinning workshop at the Ag museum, so we didn’t go until around 3pm. Sounds like Nik had a great time! My children would have loved to enjoy those activities, but we may have needed to use epi-pens if they had…so we opted to just get a hundred pounds of apples and some pumpkins instead. The soybean and corn sandboxes are a great idea. I’ve never seen that, but I know three boys who would be rolling around in them. That’s amazing about the apple cider. And how wonderful that he is noticing other children! Sounds like Nik had a great time at the Festival. We went to a Pumpkin Festival yesterday too. Given that SB couldn’t handle this kind of commotion just a couple of years ago, it’s amazing to see how much he enjoyed himself yesterday. Those sandboxes sound wonderful! When SB was two he had a mini-sandbox filled with rice, and he just loved it. Sounds like it was a great day! I love fall festivals. With all our crazy birthday and train weekends, we’ve yet to get to a pumpkin picking or apple picking event this year. Soon, I hope. Great photos! oh! all those photos are wonderful, especially the last one. i’m so proud of Nik. fall has always felt like a time of new beginnings. here’s to a calm and joyous one for you and yours. M2R, sorry we missed each other! Are your kids allergic to the grain, the hay, or the animals? Or all of it?